Shahs Of Sunset Recap: Pack Your Kaftans, We’re Going Camping! This week, the Shahs of Sunset continue to contemplate how to break through to their old friend Golnesa “GG” Gharachedaghi, who is struggling with issues of anger and excessive drinking. A group trip is in order and they waste no time getting the show on the road, so to speak. GG is in her apartment, cleaning her knives and feeling sorry for herself because of her “declining health” with Rheumatoid Arthritis. I guess Asa Soltan Rahmati got the invite for this pity party and stops by to give GG her “magical” green sauce. Does everything in Asa’s life have magical powers? Note that GG has no problem shoveling carrots and green sauce into her mouth with her RA-riddled hand. GG begins to tell Asa about her fight with Mercedes “MJ” Javid and decides they all need to remember why they fell in love with each other in the first place. GG suggests the best way to do that is to go camping with the group so no one can hear their screams. They call Reza Farahan to explain the plan and he feigns excitement but agrees. GG gives Asa a hearty high-five (with her bad hand). Shahs Of Sunset Recap: Yahtzee! This week’s episode of Shahs of Sunset shows the start of fences being mended and bridges being burned. 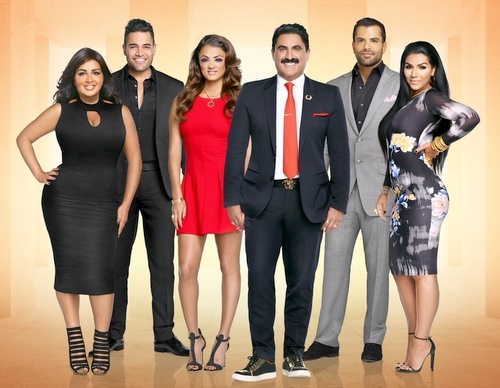 Reza Farahan is ready to start forgiving Mike Shouhed but his patience is wearing thin with Mercedes “MJ” Javid and her loose lips with his boyfriend, Adam Neely. MJ is not in the forgiving mood when it comes to Golnesa “GG” Gharachedaghi, who is almost in the NFL (No Friends Left) zone if it weren’t for Shervin Roohparvar. MJ has more important things to worry about, like the virility of beau Tommy Feight’s sperm. Asa Soltan Rahmati, never one to miss out on an opportunity to spend pointless amounts of money and energy on priestess-y things, prepares for the secret wedding of Reza and Adam, who still has no idea he is going to be getting surprise married soon. Last week, we watched what the Shahs of Sunset do what they do best – throw expensive parties and drink too much. This week, we are starting to see how each cast member’s story line will shape up over the course of the season. Reza Farahan ponders how to surprise-marry his jilted groom, Adam Neely. Mercedes “MJ” Javid gives us a glimpse into her relationship with the loud-talking, derrière-loving Tommy Feight, who will put a ring on it this season (hopefully on camera). Asa Soltan Rahmati starts yet another business, blessed by essential oils and herbs. Mike Shouhed and Jessica Parido already show cracks in their marriage, which Mike thinks he can fix with money once his new shoe line launches. Golnesa “GG” Gharachedaghi continues her downward spiral of bad behavior, fueled by alcohol and rage while Shervin Roohparvar tries in vain to contain her. Today is National Dress Up Your Pet Day (who knew?) 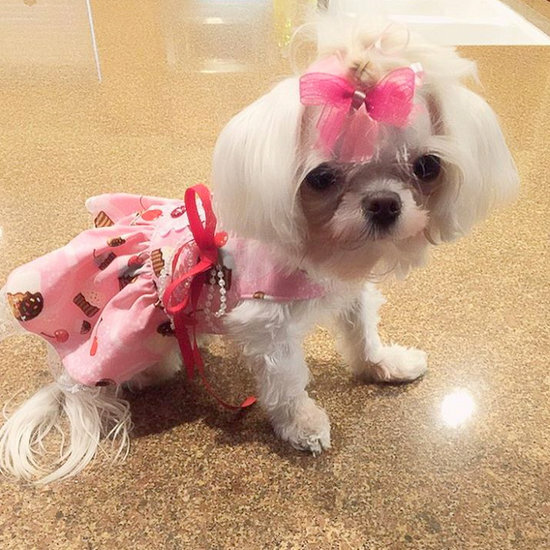 so we gathered up some pics of our favorite reality TV pets (some dressed, some not) to celebrate. Look below for photos from Kylie Jenner, Dina Manzo, Fredrik Eklund, Lisa Vanderpump, Drita D’Avanzo, Bethenny Frankel, Jax Taylor, and more. Filming for Shahs of Sunset season 5 is well underway. The cast, which will no doubt include Asa Soltan Rahmati, Reza Farahan, Mercedes “MJ” Javid, Mike Shouhed, and Golnesa “GG” Gharachedaghi, went to Belize together last week. What could Belize have possibly done to deserve this?! 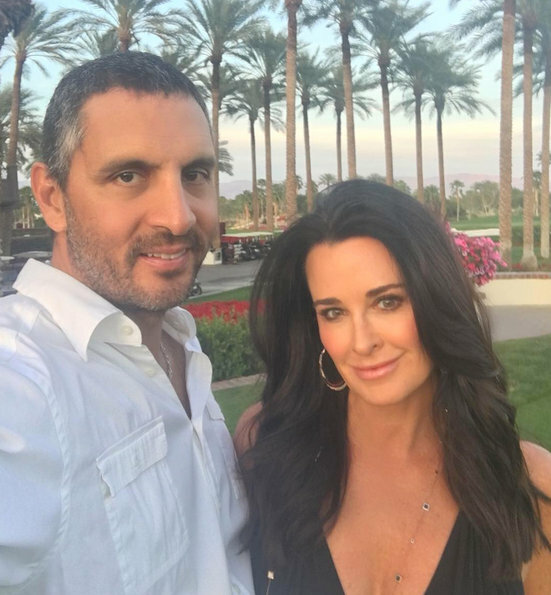 Despite rumors which suggested the upcoming season would delve further into the disaster that is Asifa Mirza and Bobby Panahi‘s relationship, according to a photo shared by Tamara Tattles, it doesn’t appear as if Asifa joined the others in Belize. I dare to hope Asifa Mirza was a one season wonder, and I nominate Shervin Roohparvar to take her place as a full-time cast member.